In response to the earthquake that struck Mexico on September 19, Doctors Without Borders/Médecins Sans Frontières (MSF) has deployed psychosocial teams in Mexico City and has sent mobile teams to remote areas to provide medical and psychological care to those affected by the earthquake. 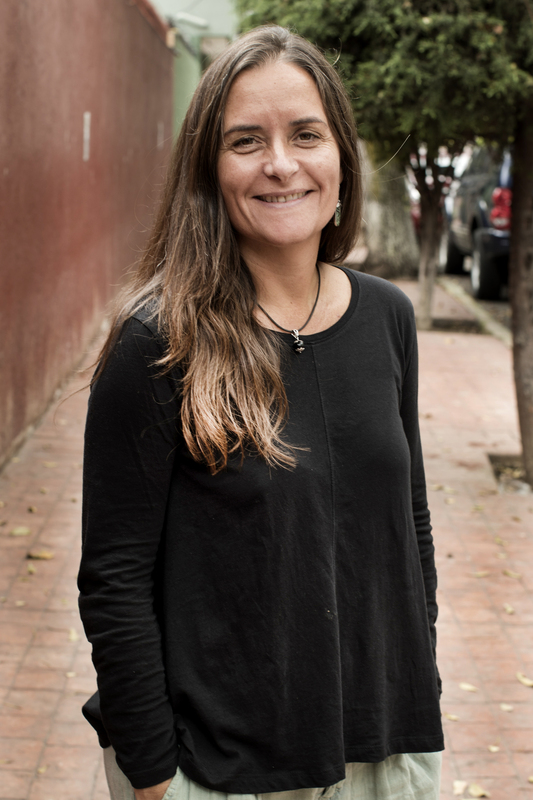 Carmen Rodriguez, MSF Mental Health Referent in Mexico, gives more details about the work of the teams and the challenges the population faces after an event like this. How is the situation and what is MSF doing in response to the earthquake? It is important to note that there have been two earthquakes: one in Oaxaca on September 7 and one in Mexico City on September 19. [A third earthquake struck Oaxaca on September 23] A few hours after the first earthquake in Oaxaca, MSF sent a team to assess whether our intervention was necessary. With regard to the earthquake of the 19th, which mainly affected the states of Mexico and Morelos, we did the same. Mexico's response to this type of catastrophe is usually fast and good, but there are always some needs that are not covered. In this case, we saw that there were some gaps in mental health and psychosocial care, so we decided to send teams comprised of psychologists, doctors, and social workers to the most remote communities. What are the teams seeing on the ground? Our teams are working mainly with people who have not lost loved ones, but who have lost their homes, as is the case for those who live in San Gregorio [a neighborhood in Mexico City that was badly damaged by the earthquake]. There, our teams have been visiting people practically door-to-door. We have seen high levels of anxiety, fear, and hyperalertness. For example, a woman in San Gregorio told us that her child refuses to be apart from her even for a moment, that he is frightened and cries whenever he hears a siren. In Juchitán [in Oaxaca state], where the earth continues to shake, people sleep in the street for fear of falling houses, or do not go to their jobs to avoid closed spaces. The supermarkets are closed because the workers don’t want to come in. Fear, anguish, and alertness are feelings that appear after intense experiences such as an earthquake, which represents a major threat to people’s lives. We explain to our patients that given what they are experiencing, the reactions they are having right now are totally normal. Our job is mainly to help them start using their coping mechanisms. What are the teams doing on a daily basis? The work of the psychosocial teams consists of providing support to the affected population through individual or group consultations. We visit the shelters where the affected families are welcomed, and we go to the places where rescue work continues. We also try to be present at the time when the houses that were damaged are to be demolished, since the families who inhabited them and who have lost everything usually need emotional support. We spread messages to help the affected population understand what they are feeling and how to face it. We try to raise awareness and provide information so that people know how to deal with the days and weeks that lie ahead. What is the importance of mental health after events like this? Good psychosocial support can make the difference in the recovery and the restoration of those affected. The individual consequences in the medium and long term will depend on many factors. Obviously, for those who have lost their homes or loved ones, recovery is going to be much more difficult. It is also necessary to take into account whether a person belongs to a particularly vulnerable group and if they have a family or social support network. The pain will diminish with the passage of time, little by little. However, there are people who find it more difficult to put the necessary coping mechanisms into action to ease their emotional state, [and are at risk of] developing disorders related to the stress. For many people in Mexico City, this earthquake has re-opened psychological wounds from the earthquake of 1985. Many people have intense memories of that time, and this crisis has revived those memories and the emotions that go with them. For example, people do not want to return to their homes in case they collapse. One person we spoke to had lost his brother when his home collapsed a week after the earthquake of 1985. What are the differences between the intervention in Oaxaca and in Mexico City? A few weeks have passed since the earth trembled in Oaxaca. During this time, despite the many aftershocks, people have been able to organize, and support networks are already much more structured. We can begin to work on far more specific problems and difficulties in these areas. In Mexico City, we are still at an early stage; the population is more focused on solving basic needs and just beginning to organize both aid and activities. In this case, fear is still the predominant emotion. What can you expect in the coming days and beyond? Help is arriving and the response from people is good. When all the initial support has been withdrawn, more intense symptoms may occur. Above all, it depends on the time it takes for each person to resume, as far as possible, the life they had before the earthquake.